Egypt’s New Anti-terrorism Law: A Draconian Measure? Could Improved Egypt-Hamas Relations Halt Spread of Jihadi-Salafists in Sinai? 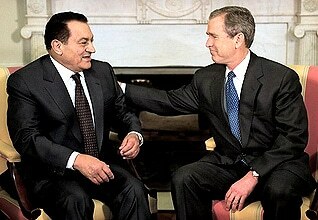 Mubarak Walks Free. What Next for Egypt? Two Bloodbaths and a Security Reshuffle: Is Egypt Losing Its War on Terror? Can Terrorism Be Eradicated in Egypt’s Sinai Region? 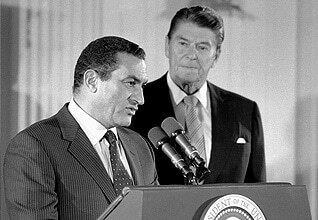 Sadat’s vice-president, Hosni Mubarak (born 1928), a former Air Force general, continued on the path that Sadat had laid out. The struggle against radical Islamists characterized his presidency. Immediately after the assassination of Sadat, a state of emergency was declared (which remained in force until 2012). 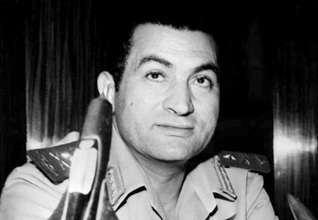 Internal security was the constant preoccupation of Mubarak’s reign. In the 1990s, security forces fought an insurgency of Islamic militants, led by al-Jamaa al-Islamiya and the Islamic Jihad, two competing movements aiming to overthrow the regime and install an Islamic state. More than a thousand people were killed, more than 10,000 were wounded, and thousands were detained. Years of uneasy calm followed, but in 2004, 2005, and 2006, new terrorist attacks on tourist resorts in the Sinai Peninsula violently disturbed the nation’s sense of security. 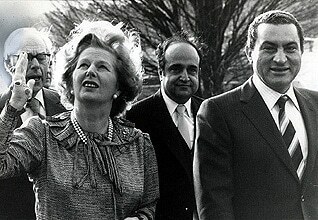 Mubarak inherited an economy that was in the doldrums. Economic growth could not keep pace with population growth. Hampered by an enormous, obstructive bureaucracy, rampant corruption, incompetent government, and fierce international competition, Egypt found itself lagging. Public services such as education, health care, and housing collapsed under the weight of demand and mismanagement. Disparities between the poor masses and the rich elite grew further. In July 2004, a new economic team was brought into the government through the efforts of Mubarak’s second son Gamal, giving rise to speculation that he was the heir apparent. Pro-business reforms were announced, and investment since rose, but the benefits did not trickle down to the poor masses. 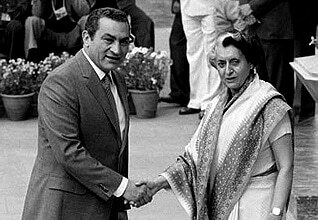 Diplomatically, Mubarak focused his efforts on restoring relations with other Arab countries, and he managed to regain some stature in the Arab world while preserving a cold peace with Israel. Egypt was readmitted into the Arab League in 1990, and its headquarters returned to Cairo. The relationship with the United States strengthened until it was strained by the American invasion of Iraq in 2003 and American demands for democratization in Egypt. These demands which were largely abandoned after the American campaign in Iraq got bogged down. Meanwhile, Egypt has never ceased to play the role of intermediary in the Israeli-Palestinian conflict. 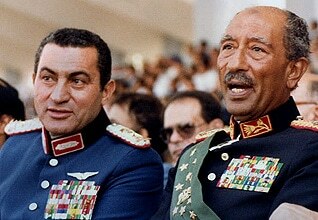 During the latter years of the Mubarak presidency the political scene entered a state of suspense. On 7 September 2005, Egypt held its first multi-candidate presidential elections. 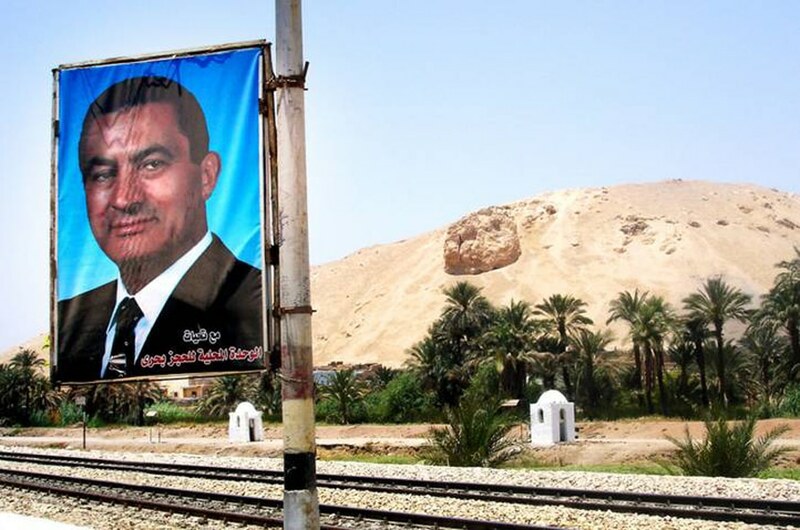 Mubarak won overwhelmingly, although officially only 23 percent of the electorate voted. Two months later, in November and December, parliamentary elections were held in three stages. During the campaigns, there was unprecedented criticism of the regime and the president. For the first time, the outlawed Muslim Brotherhood was allowed to protest on the streets and chant its slogan ‘Islam is the Solution’. The Islamists were permitted to participate in the elections on the condition that they were nominated as independent candidates. Although the National Democratic Party (NDP), the official government party, still won a majority in Parliament, the Muslim Brothers won 88 of the contested 444 seats (nearly 20 percent), a fivefold increase. After that, the regime clamped down. The runner-up in the presidential elections, Ayman Nour (born 1964), was imprisoned, and the Muslim Brothers were subjected to on-going arrests. 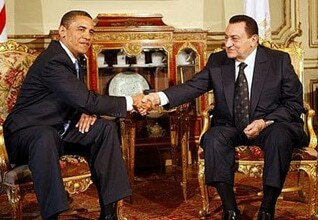 Only two months before he was forced out of office, Mubarak held his last parliamentary elections on 28 November and (second round) 5 December 2010. These elections were marked by massive rigging, and the ruling National Democratic Party (NDP) won nearly 96 percent of seats. Observers agreed that these elections were the worst under Mubarak and were intended mainly to prepare the ground for his son, Gamal, to take over. The Muslim Brotherhood, which only five years earlier had won 88 of the 444 seats, won not a single seat in the first round of the November 2010 elections, nor did any of the opposition groups.